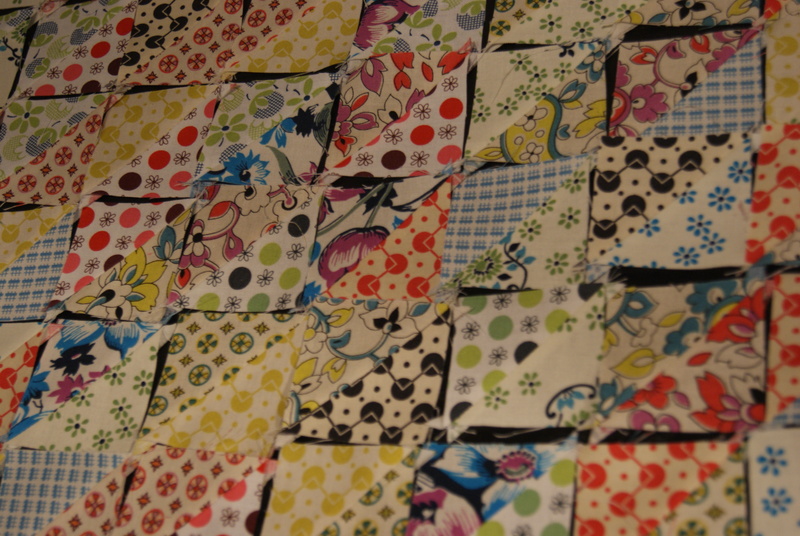 So, this happened, to my Seacoast Modern Quilt Guild Asbury challenge project, due this coming Saturday 4/6 (eep). Honestly, when I thought, “hey, I’ll sew a little Lucy-sized beach quilt and back it in terrycloth won’t it be CUTE”, I pretty much thought the worst that might happen was some warpage and some non-flatness. AND THEN THE WHOLE DADBLASTED THING FELL APART ON ME. It would have been cute, no? I am totally smitten with the text print in this line. Anything summer-beachy-themed is a winner, and I love that this low-volume text print has lots of colors. 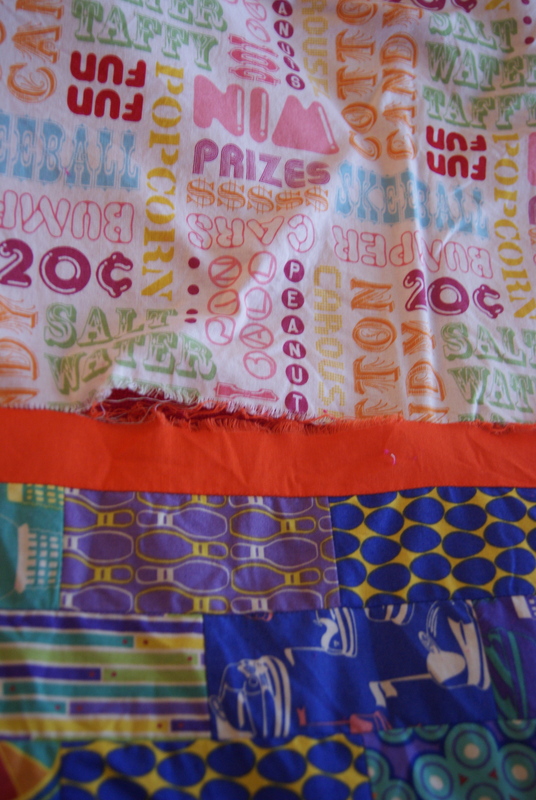 My original idea was to keep the piecing simple, to maximize washability (our beach stuff gets gross), back it in terrycloth, so that Lucy and I might save on some of the junk we have to haul in and out of Crane Beach this summer, and make it a quilt, so that I can save wear on our current outdoor quilt, which I realized last summer is the only quilt I own that was made by my great-grandmother. I made it, it was cute, I washed it, it fell apart, and Saturday night, tired after a day of cleaning-sewing-running-around, I told my husband that I didn’t think I could blame this on the terrycloth, that it wasn’t “the terrycloth’s fart.” I think the Kona shrunk at a different rate than the prints, and there wasn’t any quilting to hold the layers together (terrycloth! maybe it was your fart! ), so the piecing frayed at the Kona sashing. So now I have some surgery to perform. 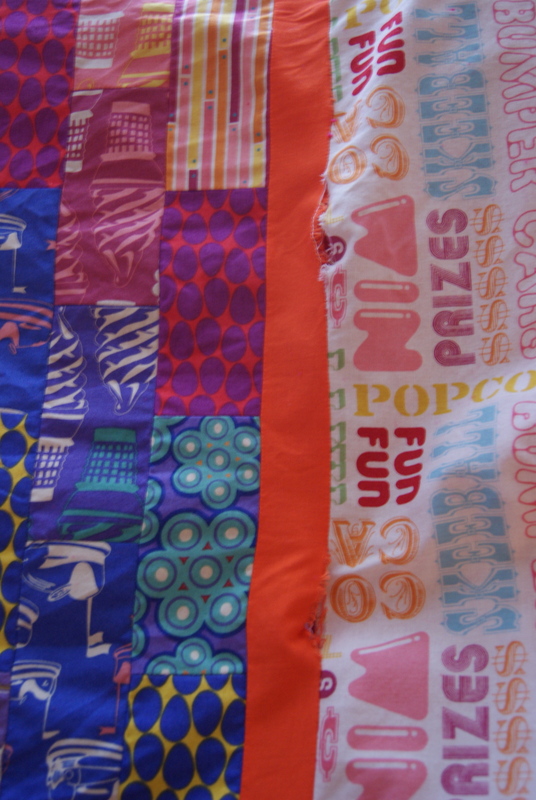 I am scrapping the beach quilt idea. Throwing OUT the terrycloth in a rage. (remember poor ugly knitted sock?) I have exactly four sewing days to come up with a salvage project. Holy crap. 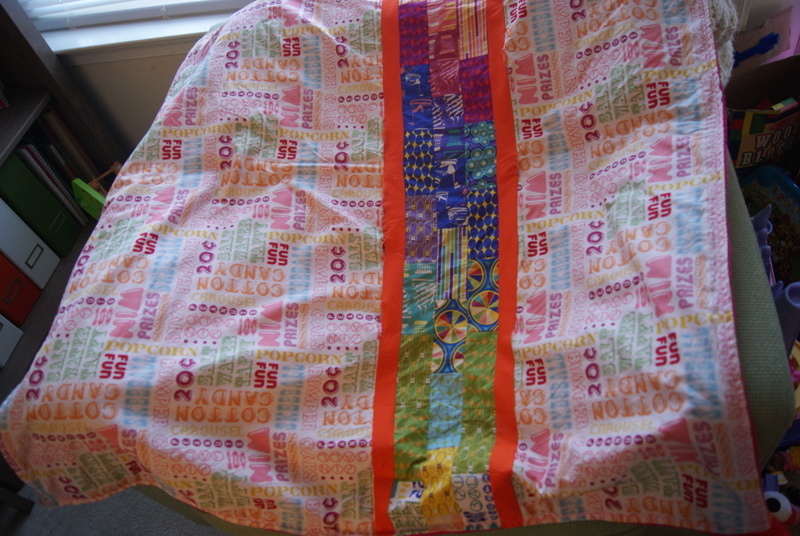 I would have lost it in a big way with cursing and throwing things, so kudos to you for not judging throwing in the towel… could you keep the same idea by just cutting off the sashing and attaching the Ashbury piecing directly to the big panels of print then reattaching the terrycloth? You’d lose a few inches overall but wouldn’t have to go back to the drawing board. Terrycloth farts are the worst. The pattern looks really nice. I love that fabric line. Maybe if you doubled up on the terry cloth or used an interfacing it would work?